Sports Unlimited Blog | Page 22 of 22 | Advice, information, news, and reviews on the latest sporting goods and gear for parents and players! Tomorrow, the wait finally ends. Football is back and all is well in the world! 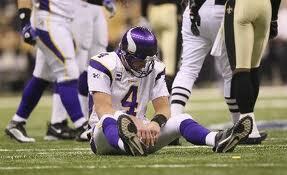 Thursday, The Minnesota Vikings travel to New Orleans in a rematch of January’s epic NFC Championship Game. To refresh your memory, the Vikings dominated play, but self-induced wounds (fumbles and interceptions) cost them dearly, especially Brett Favre’s inexcusable INT late in the fourth quarter that forced an overtime and eventually sent the Saints to Super Bowl glory. Tomorrow, the Saints open up the 2010 season as defending champs, while the Vikings seek redemption and revenge for January’s falter. Author AdministratorPosted on September 8, 2010 October 2, 2014 Categories FootballTags NFLLeave a comment on The NFL is BACK!! If you’ve ever been a little overwhelmed or intimidated when buying a baseball bat or softball bat, don’t worry. You’re not alone. Bats are becoming pieces of incredible technology and each year things get more and more complicated. But trust us, all of these seemingly confusing and sometimes maddening changes are making the game, and learning the game, better for people of every age and skill level. Because of the overall confusion that comes when buying a new baseball bat or softball bat, we decided to try and help simplify the process. 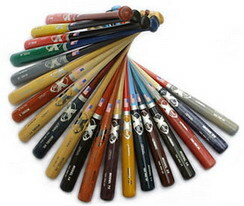 The following is our guide to purchasing baseball bats / softball bats. If you’ve been through this before and have any comments or advice for anyone having difficulty purchasing a bat, feel free to help them out buy commenting at the end of the post. The weather is starting to cool down, which only means one thing – Football season has arrived. Whether its tailgating outside Beaver Stadium or watching your beloved Packers get set for kickoff, every football fan needs to be prepared for the season. That’s why when you purchase one NFL or NCAA licensed item, we’re giving 30% off the second item you purchase (excluding jerseys and apparel)! So check out our selection of on-sale gear, such as NCAA tailgating chairs and flag poles! Click the picture to go to Sports Unlimited’s Fan Zone.